This is an Italian breed, which comes from Sardinia. It is very alike the wild boar it often mares with in the underwood or in the scrub where it usually grazes. 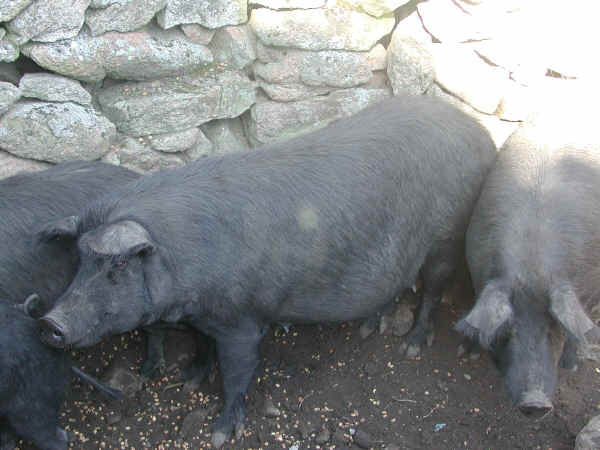 In 2006 this breed was officially registered among the Italian autochthonous swine breeds. A small size pig, grown-up weight 70-100 kg. The colour of the coat can be black, grey, tawny, spotted. The bristles are numerous, long and rough, on the dorsal line they make up a mane. The head is cone-shaped with a straight profile, small ears kept high up or leaning on the side.